Take a deep breath, close your eyes and dive into the deep, vibrant audiovisual realm of Vancouver’s Silent Season. On Friday night during this year’s Communikey Festival, a selection of their artists will transform the Oddfellows Lodge into a wet, dripping coppice, transporting Festival participants through space and time via digitally-produced phonics and visual projections of the four seasons on Vancouver Island. CMKY: Your music is heavily inspired by the landscapes of Vancouver Island. Is there something in particular about the area that inspires you? Jamie: Ya, I spend a lot of time outside, whether I’m biking or snowboarding or camping or fishing. From being outside all the time, I started to get this sound of nature in mind, but with rhythm and bass. CMKY: When did you start playing music? Jamie: I am a DJ and a music collector. I don’t produce music. I’ve been collecting and playing records for about 15 years now. I got into it through friends who were playing in Victoria. They used to put on parties in Victoria that were mostly outdoors. I would be enjoying this sublime music in this forest outside and it just really connected with me. It was mostly deep house and deep techno sounds. 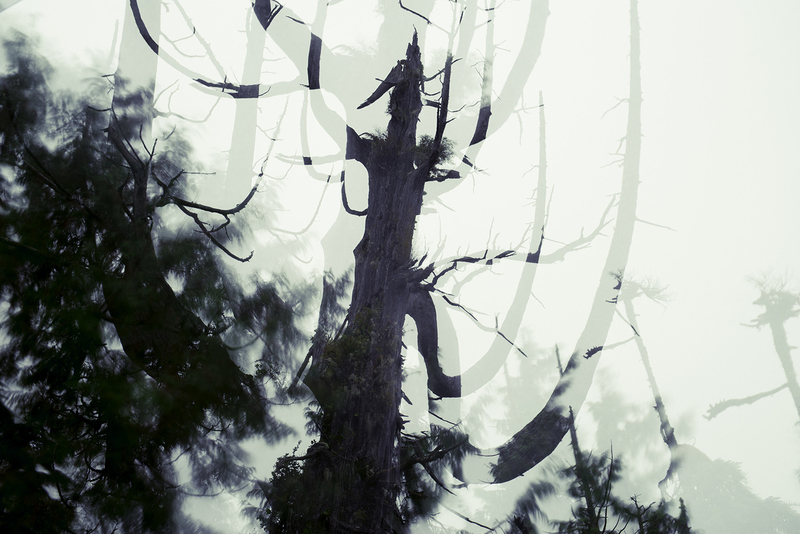 This sound, and being in the forest…I caught a buzz for it and felt like I really wanted to pursue it further. Over the years, I’ve evolved my sound to be very in tune with the warm, rich, deep, ethereal sounds that I feel are reflective of being outside or being in a mossy rainforest, like really wet and damp and dripping. There’s a real sort of harmony between that sound of music via dub techno or sort of deep house, or anything that sort of connects with your soul and how it makes you feel when you spend time outside. I feel really fortunate to have had a lot of those musical experiences outdoors. That’s when I slowly started curating Silent Season. The way I look at it is, it’s like this one long mix; one life long mix where with the label I’m able to collect these tracks that are reflective of how I’m feeling at that time. CMKY: How has the label built itself up over the years? Jamie: Originally it was me sort of tracking down artists that I admired who were producing a sound I was really interested in. Over time, it’s been really awesome to see that people who have followed along with the label for a time, they really are able to get a sense of what it’s really about. And it effects where they live locally and their natural environment. CMKY: Tell me about the photographs that accompany each release. A lot of time and effort goes into using the right one. Jamie: Yes, so all those photos are done with a friend of mine, Dan. We’ve been hanging out for years and years and we started going to the original parties together. The motto of British Columbia used to be Supernatural British Columbia, and I always thought that there are aspects of British Columbia that are quite supernatural and Dan is always able to capture that in his photos. The way I look at his photos is sort of how I feel when I’m out listening to Silent Seasons music: it just goes so well together. The photos and the music sort of help create the narrative. CMKY: What do you have planned for the festival this year? Jamie: Dan has been working on a visual set that he has been collecting videos for over the last year. It’s going to be a seasonal, visual presentation starting with me for two hours kicking things off on sort of the deep end, dubby techno sounds; so very lush and on the ambient side. Dan is going to have these big screens – as many as we can get into the space – and layer all of the different Silent Season visuals with the sound to create a real-life representation of what the label is all about. We are really fortunate that Jordan Sauer, Segue, is coming. He’ll be playing a live set after me that will definitely be on the deeper, dubbed out side of things. Then we have Refracted, from Germany, playing as well. So I’m pretty excited, I’ve never met him before. He’ll be playing more rhythmic techno for us. It will start off slow and we’re just going to build it up over the course of the night until we’re all dancing! CMKY 2015: An Evening With Silent Season takes place Friday, April 17 from 9pm – 2am at Odd Fellows Lodge. Admission is included in the CMKY 2015 Festival pass. Individual tickets are also available for purchase.